Did you ever wanted to create a custom 404 error page for your blogger blog? Previously, Blogger didn't supported this amazing feature and there was no way out to do so. People tried various technique but non worked like the one that we are equipped with today. Blogger Post Editor Update - Nofollow, Heading Tags Added! So in today tutorial, as the title suggest, we will be creating our custom great looking 404 error redirection page for our blog. 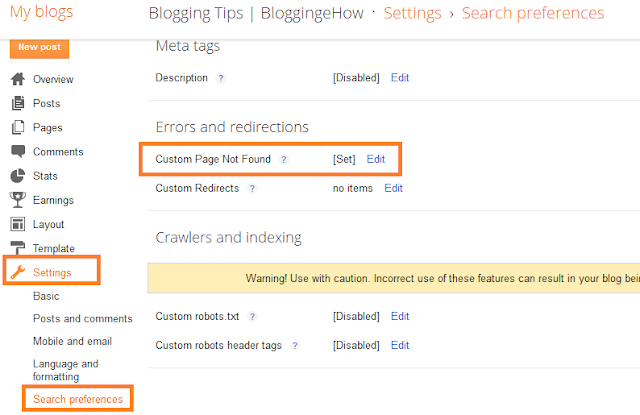 What Is Blogger 404 Error Redirection Page? Its simple. Say a visitor lands on a broken page/post on your blog say, (http://yourblogname.com/4odn) that doesn't exists any more, than he would be redirected to the error page. So before the new development (option to create a custom 404 page), the visitor was shown up an ugly page as shown below. so now, we will be designing this ugly looking error message to an elegant custom CSS/HTML powered page as shown below. 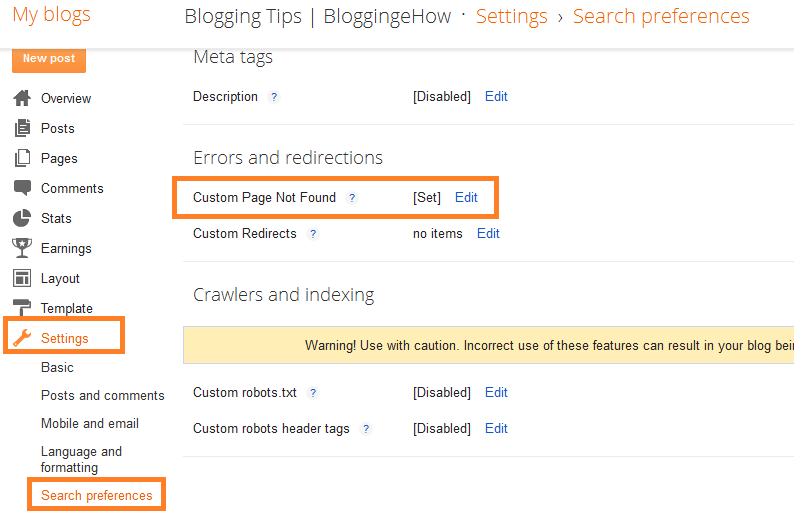 Go to Blogger in Draft (the new version) >> Settings >> Search Preferences >> Custom Page Not Found. Click 'Edit' button right next to 'custom page not found' and follow the steps below. Below is the CSS code for custom 404 error page. Simply copy/paste it in the edit section mentioned before. Now is the time to place the backbone HTML part of the page. Likewise, copy paste the below code and throw it in the edit section again. Thats all! Hit Save! And you're done. How To View Your 404 Custom Page? To view your page setup, simply type in anything random after your blog URL that doesn't exist for example. In case of any problems, feel free to share them in the comment section below.